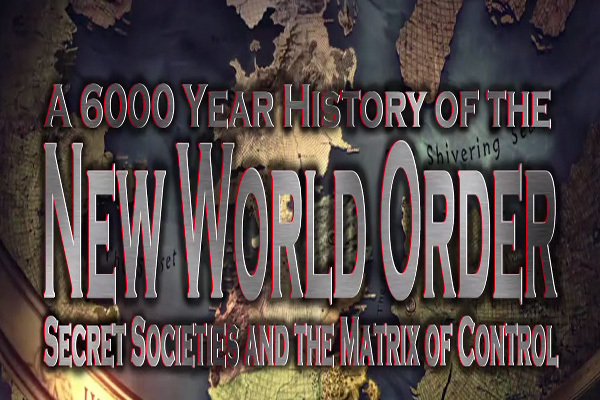 Pakalert Press » THE NEW WORLD ORDER – A 6000 Year History, which you will definitely want to know. This video is one of the best history lessons, with documented facts. It will cover every war, why and how they created them. It will explain why America and the rest of the world were purposely put in dept. It will show by name the persons and organizations involved, along with some of our presidents, congressmen, bankers and even the mafia. It will provide evidence and true history of our world, controlled by a hidden force, so powerful, that most of the world doesn’t even know it exist. Did you know that during WW2, our great American corporations, which were building our tanks and arms, also rebuilt Hitler’s factories, every time we bombed them and that, this has always been their normal way of doing business. . This group (Illuminati, renamed in 1776) is responsible for every war, pirates, famine, America’s Civil war, Federal Reserve, Communism and everything happening in the world today and all through our falsely recorded history, Do yourself and everyone a favor and educate yourselves with these important facts, as we have such little time left. It is hard to conceive; that one organization could in fact be responsible for so many horrible things, throughout the world’s history, without any alteration to their goals or ideas and carried on in tradition from father to son. It would only make since; if their leader was alive for hundreds of years and with that said; I found the first account of these Jesuits in 300BC running the bank of Petra and becoming Jews to be in line with Roman law, to be able to loan money for interest, as only Jews were allowed at that time to do this. So maybe it isn’t man who is evil and war hungry, just maybe; man is easier to control, than most of us think, or wish to admit ! Enjoy the video.